Steel pipe coating/electroplating, fabric-T/C & non woven fabric, drawer-pp material, the pole bears 90 kg, shelf adjustable (bearing 50kg/pcs), 4 kinds of transformation, with drawer bearing 8 kg. 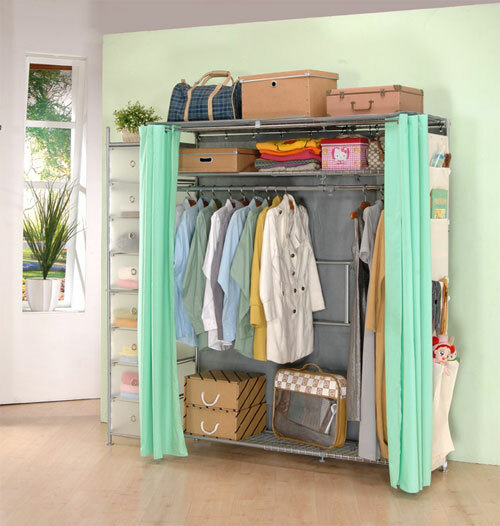 wardrobe frame adjustable, can be upgraded to anti-dust wardrobe rack. If you are interested in our DIY Bedroom Wardrobes, Please contact us online.